Benford’s analysis is applied to the recurrence times of approximately 17,000 seismic events in different geological contexts of Italy over the last 6 years, including the Mt. Etna volcanic area and the seismic series associated with the destructive M w 6.3, 2009 L’Aquila earthquake. A close conformity to Benford’s law and a power-law probability distribution for the recurrence times of consecutive events is found, as typical of random multiplicative processes. The application of Benford’s law to the recurrence event times in seismic series of specific seismogenic regions represents a novel approach, which enlarges the occurrence and relevance of Benford-like asymmetries, with implications on the physics of natural systems approaching a power law behaviour. 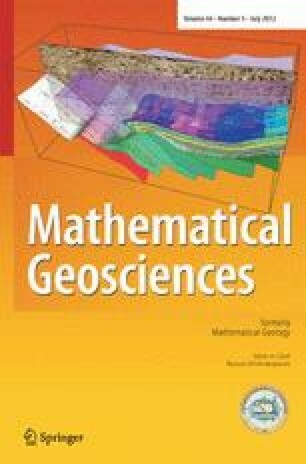 Moreover, we propose that the shift from a close conformity of Benford’s law to Brownian dynamics, observed for time separations among non-consecutive events in the study seismic series, may be ruled by a periodical noise factor, such as the effects of Earth tides on seismicity tuning. We are grateful to the Editor-in-Chief, R. Dimitrakopoulos, and two anonymous referees for their helpful comments to the manuscript.